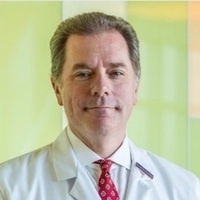 Michael Anderson MD MBA FAAP was named President of UCSF Benioff Children's Hospitals and Senior VP, Children's Services for UCSF Health in December 2016. Dr Anderson has worked extensively in children’s health policy, pediatric disaster preparedness, system quality and physician workforce. As President George W. Bush’s appointee, he served as Vice Chair of the National Commission on Children and Disasters. He has testified before the US Senate and the President’s Commission on Bioethics. He chaired an Institute of Medicine Committee on Pediatric Disaster Response and Recovery and is a consultant to the CDC and the US Dept of Health and Human Services’ (HHS) National Disaster Medical System. In 2014, Dr. Anderson was appointed by the Obama Administration to chair the National Advisory Committee on Children and Disasters at HHS. He has served on three national committees for the American Academy of Pediatrics and chaired its Committee on Pediatric Workforce. He has published on a variety of pediatric critical-care topics including sepsis, acute respiratory distress syndrome, care of the immune-suppressed patient, and transport of the unstable pediatric patient. Dr. Anderson earned his undergraduate degree from John Carroll University and his medical degree from Case Western Reserve University School of Medicine. He completed his pediatric residency at the Children’s Hospital of Michigan, and a fellowship in Pediatric Critical Care at UH Rainbow Babies & Children’s Hospital. In 2013, he earned an MBA in health care administration at the Kent State University School of Business. Please join the Global Child Health 4th Annual Lecture Series in welcoming Dr Anderson as the keynote speaker in the series.